We enjoyed our Rajasthan Trekking Tour very much as well as the ceremony at bishnoi village and the safari to watch the black bucks. Jaimal was very useful and highly competent we thank you very much. 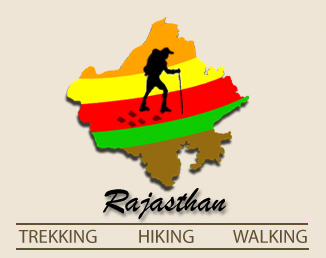 Dear Jang Jeet@ Rajasthan Trekking It was a wonderful trek we liked to see in the forest see the wild animals have rest along the fields and share chappati with you take care. Jaimal@Rajasthan Trekking took my friend Mandi and me on a fabulous five day trek in Rajasthan in January 2011. He was very informative and the trek was carefully planned with a different landscape, intensity and sleepover each day. The highlight of our trek was the Kumbalgarh Castle in the Aravali Mountain Range. We visited some tribal homes along the way and stayed at a Palace in Jojowar which was beautiful. 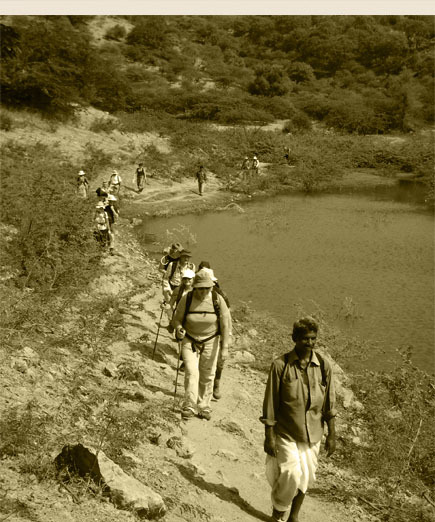 Treks with Rajasthan Trekking are highly recommended and a wonderful way to experience India away from the tourists and beaten track. Rajputana Adventures proudly presents Godwad Leopard Safari Camp in Rajasthan, India offering luxury tents. Leopard Safari in Rajasthan has become a bucket-list adventure activity, specially leopard sighting in Bera Area, Rajasthan. Rajputana Adventures also offers Biking and Cycling Tours in Rajasthan explore the ethnic beauty of rural Rajasthan peddling along with your friends and family. 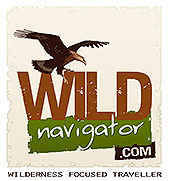 social media partner for wildlife conservation and tourism initiatives.